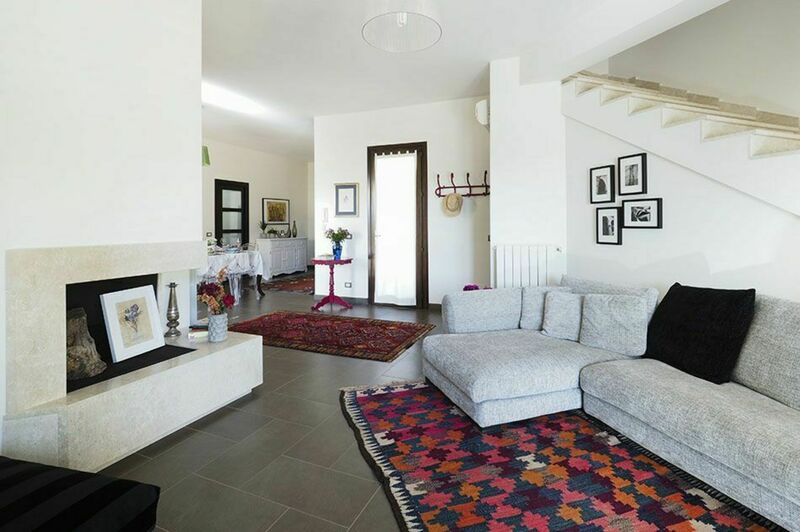 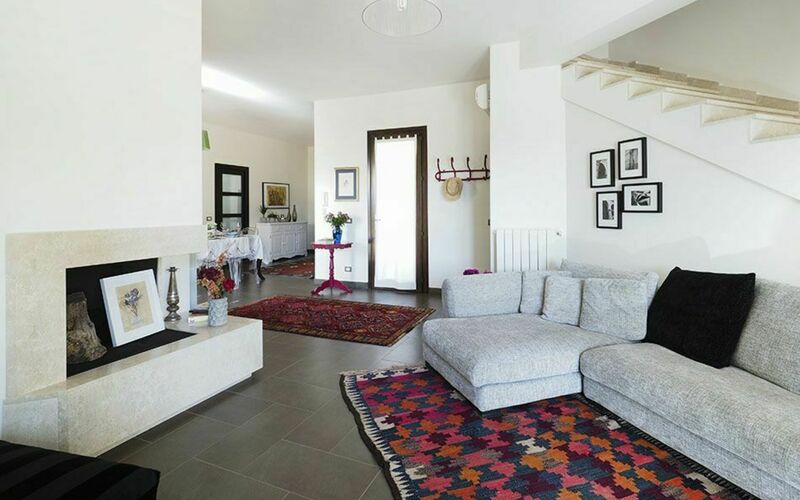 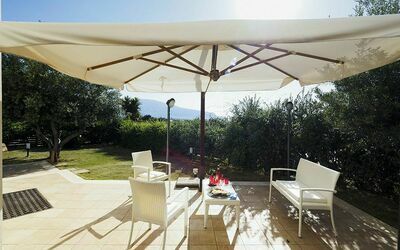 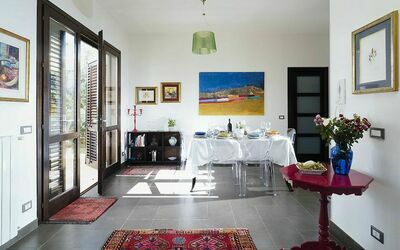 Jolie is a beautiful, comfortable villa situated in the small seaside village of Cornino, just one kilometre and a half from the beach. 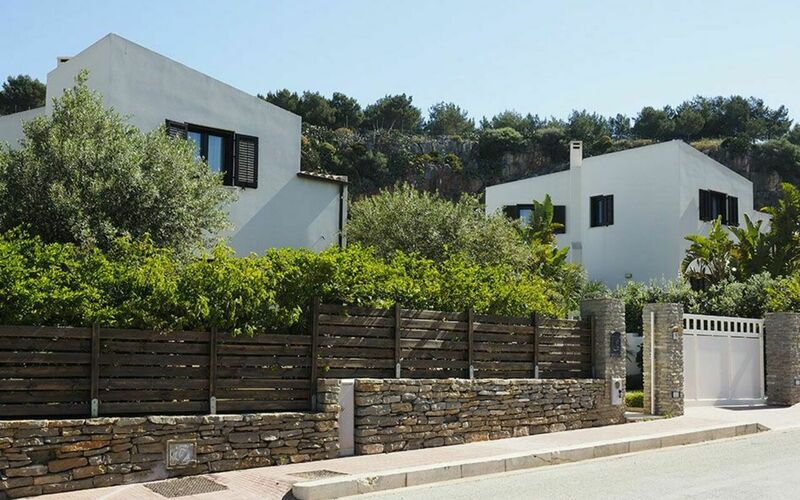 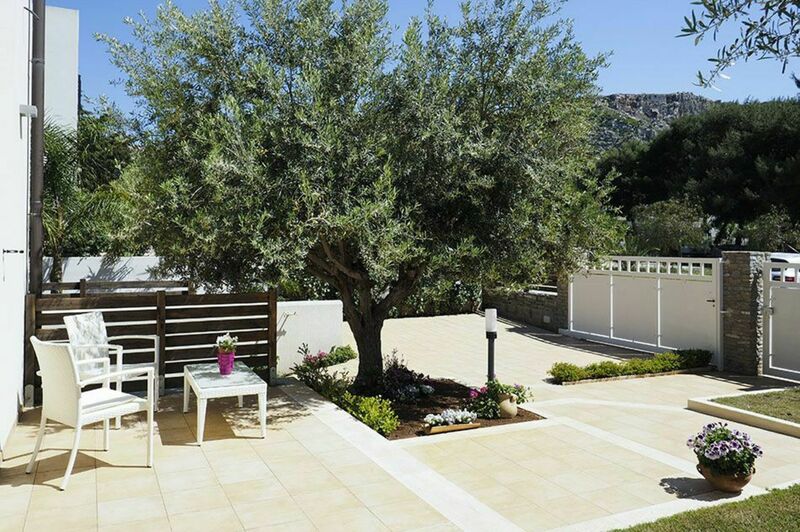 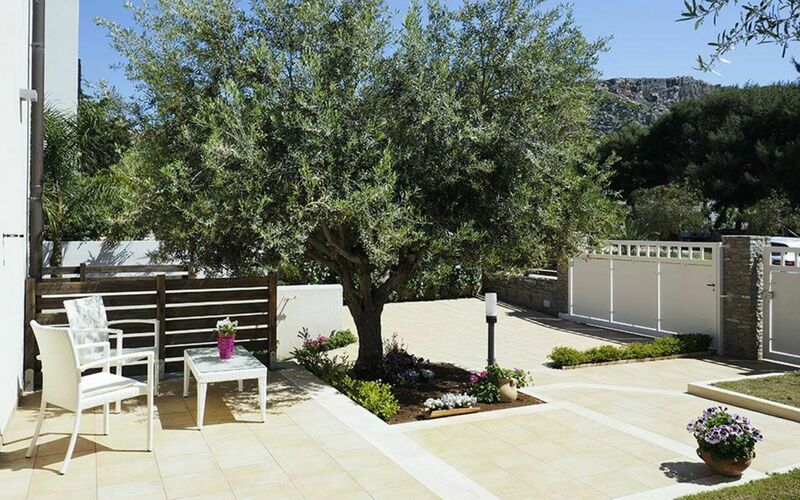 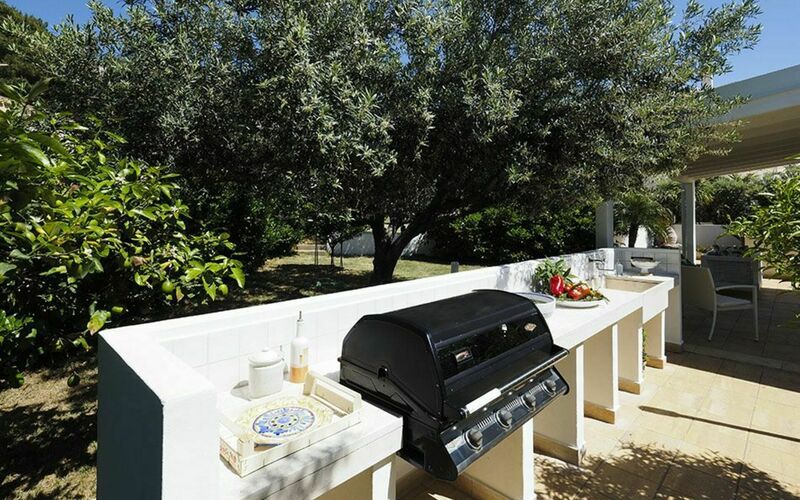 Set in a quiet residential area, this recently built villa is surrounded by a spacious terrace with dining and barbecue area and by a well-tended garden. 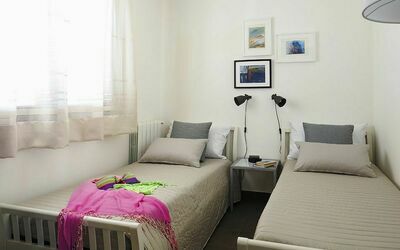 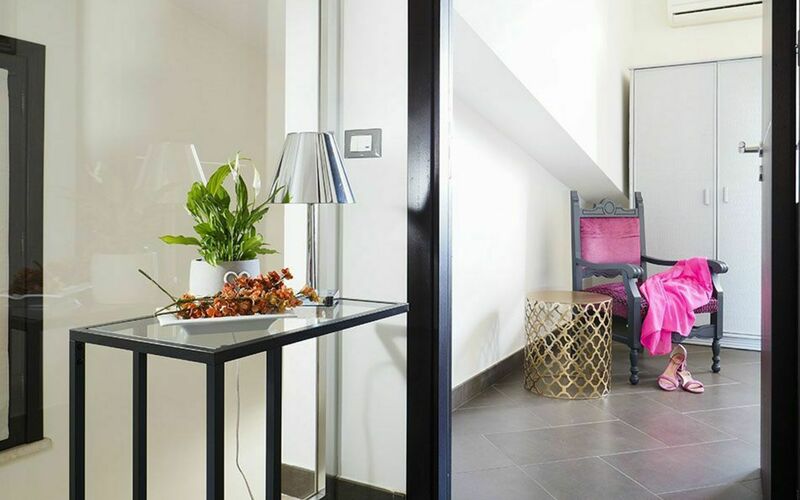 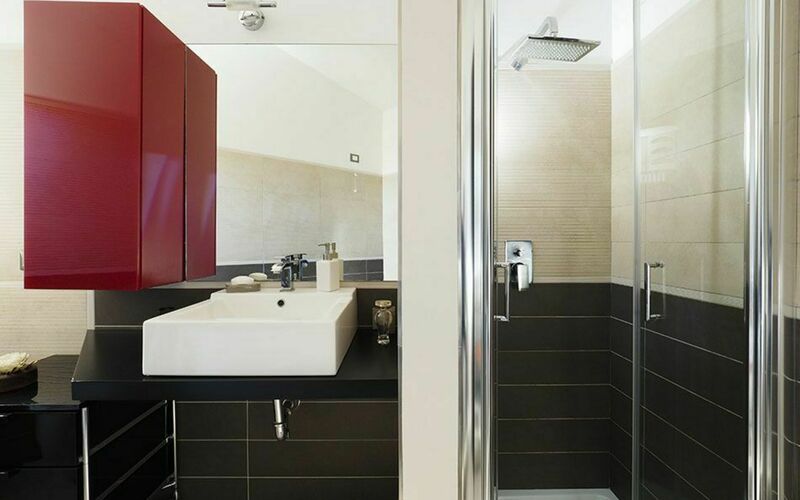 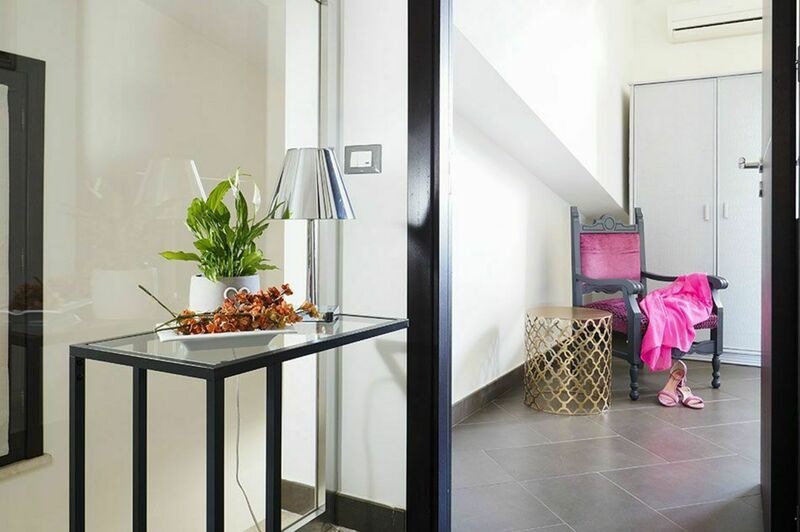 The interior features cosy rooms finished and furnished with care and taste in modern style. 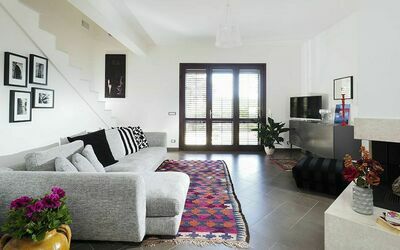 On the ground floor is the living area that includes a living room with fireplace, a dining area, a kitchen and a bathroom with shower. 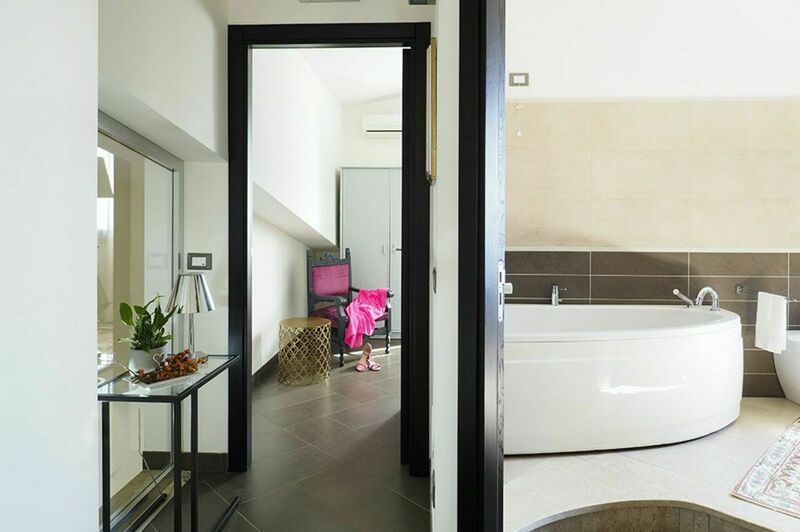 A modern staircase (without parapet) leads upstairs where there are three bedrooms and a bathroom with tub and shower. 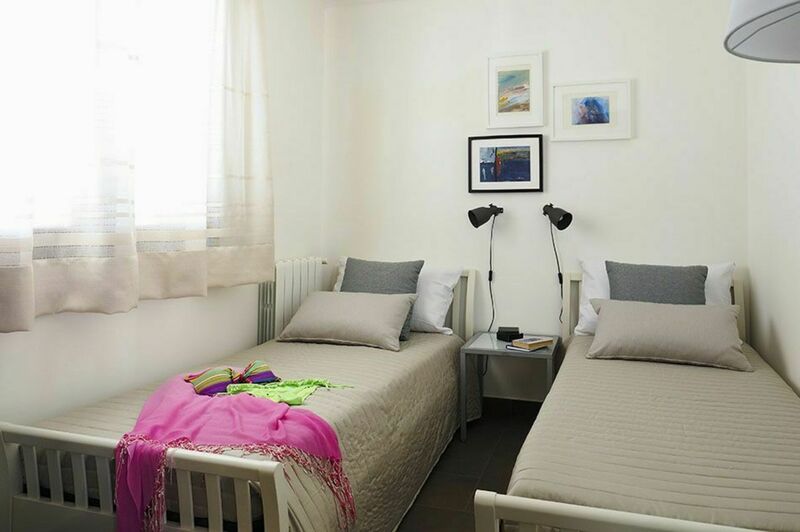 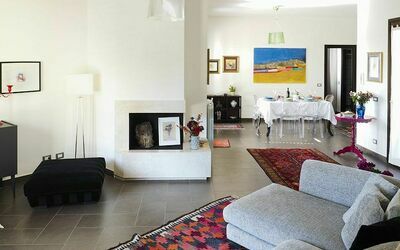 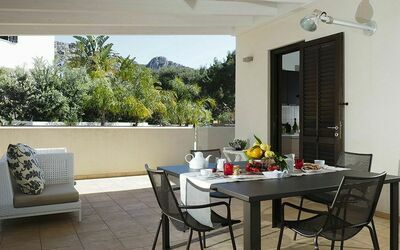 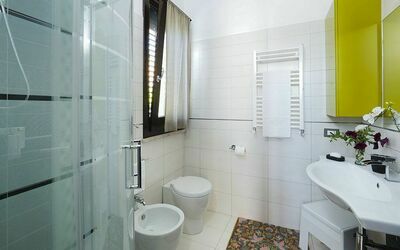 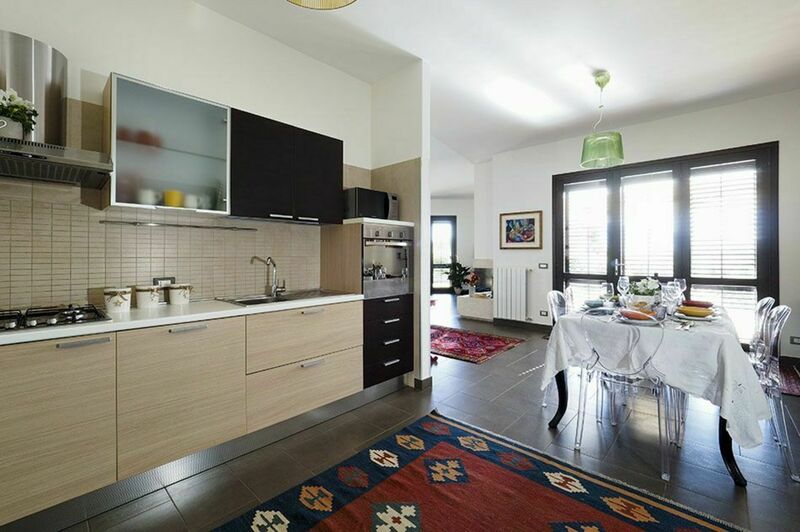 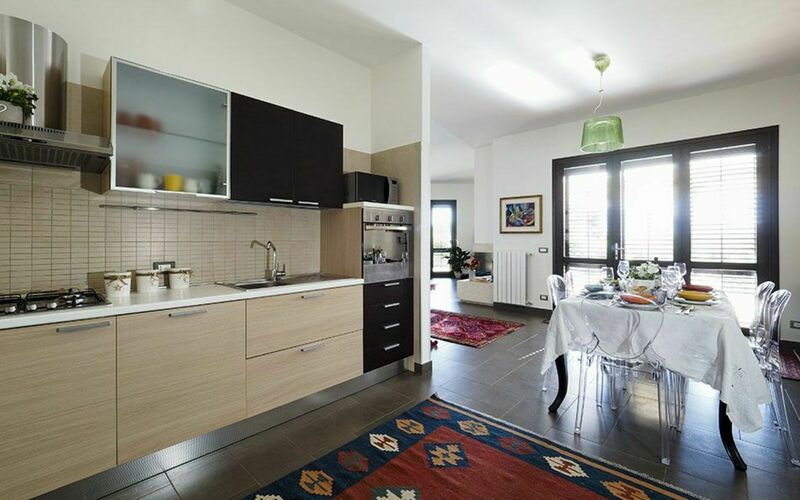 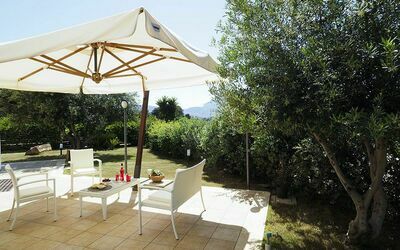 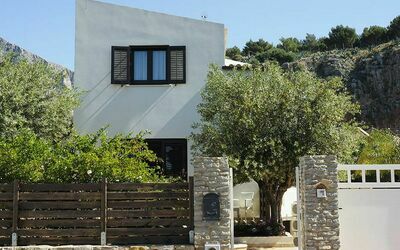 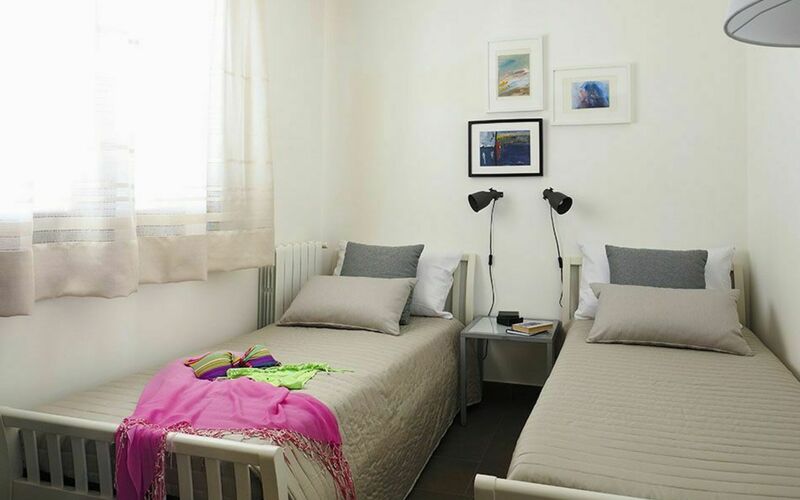 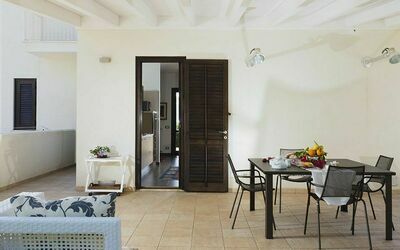 The villa is also equipped with air/conditioning, internet Wi-Fi, satellite TV, washing machine and dishwasher. 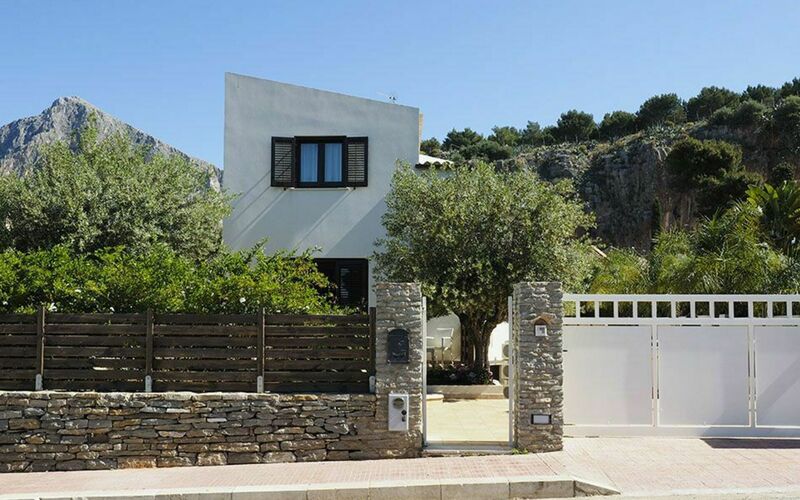 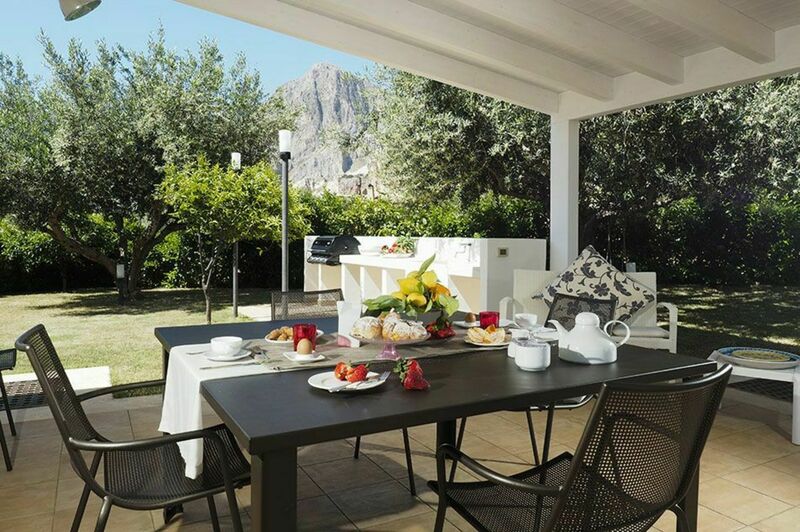 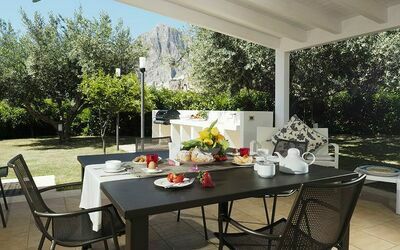 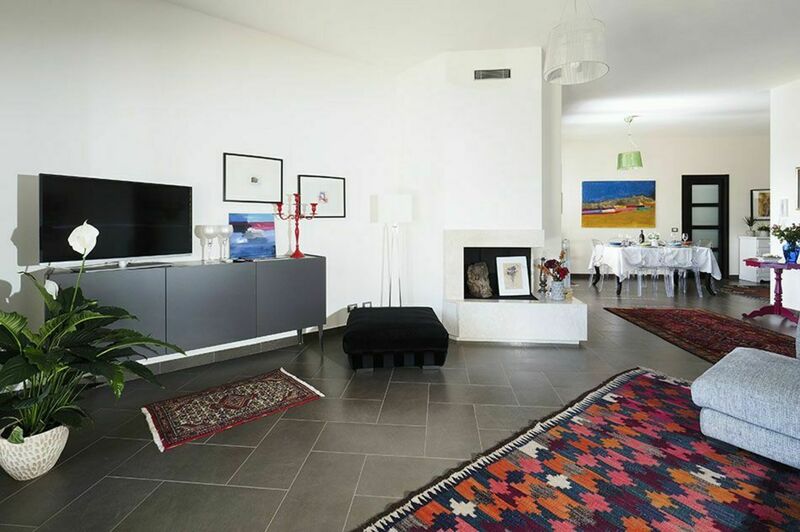 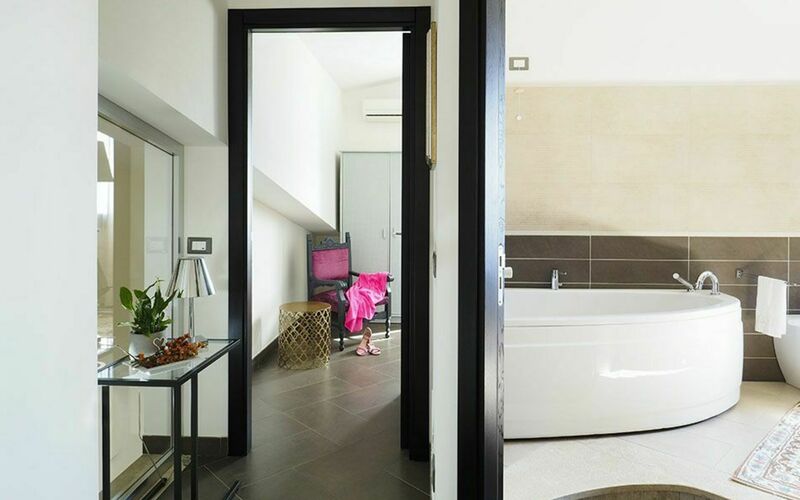 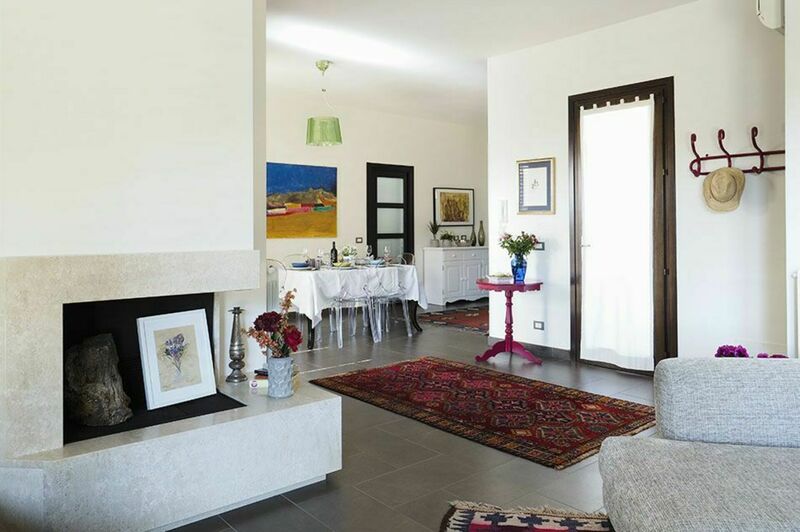 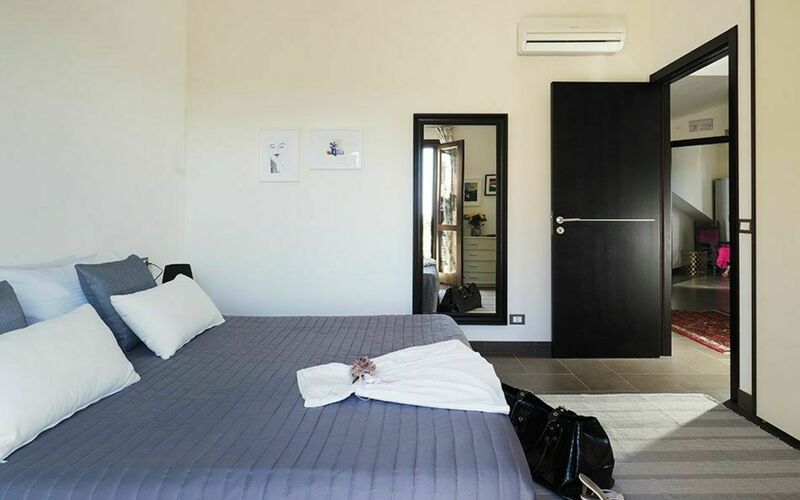 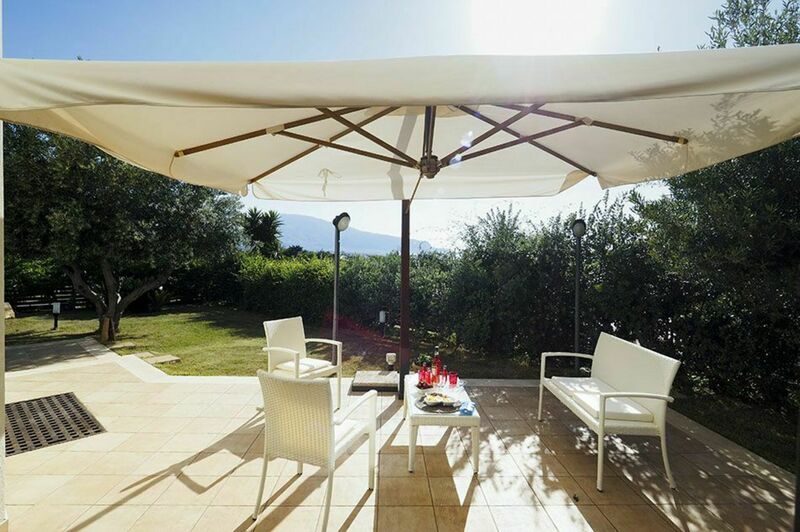 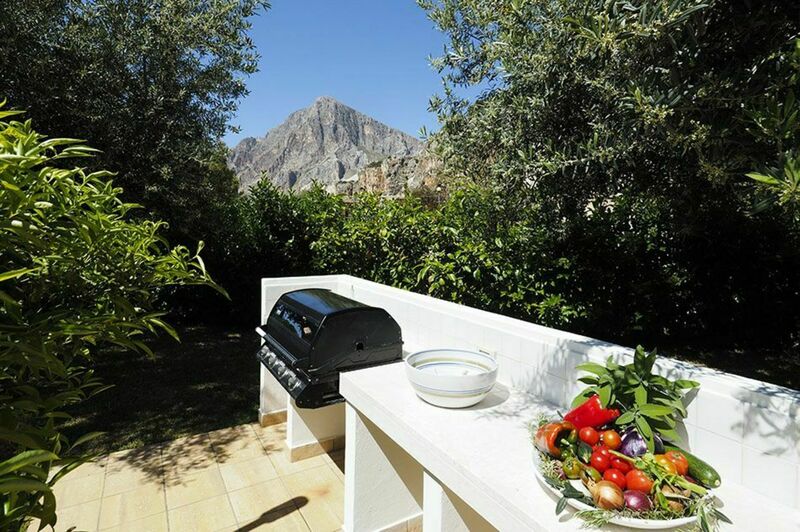 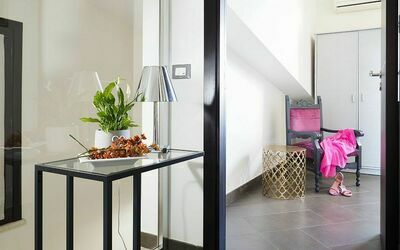 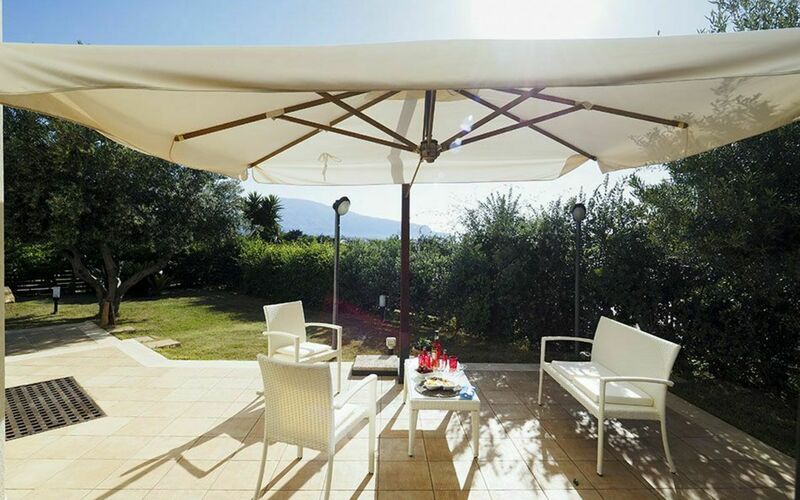 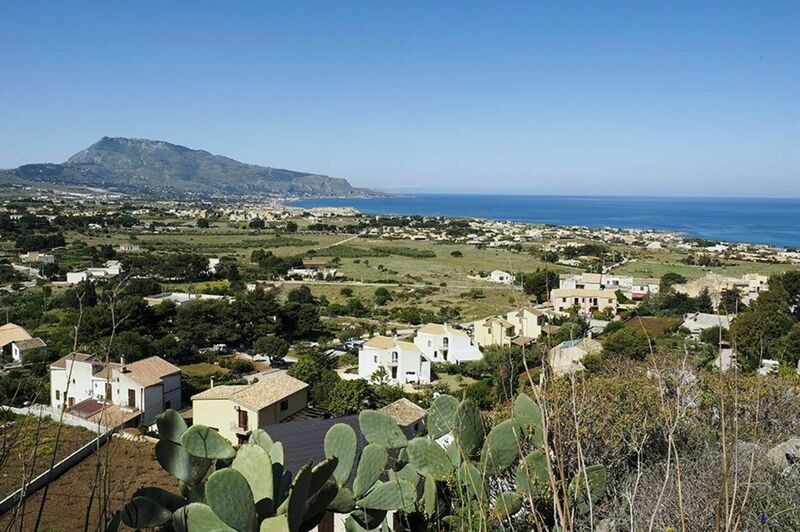 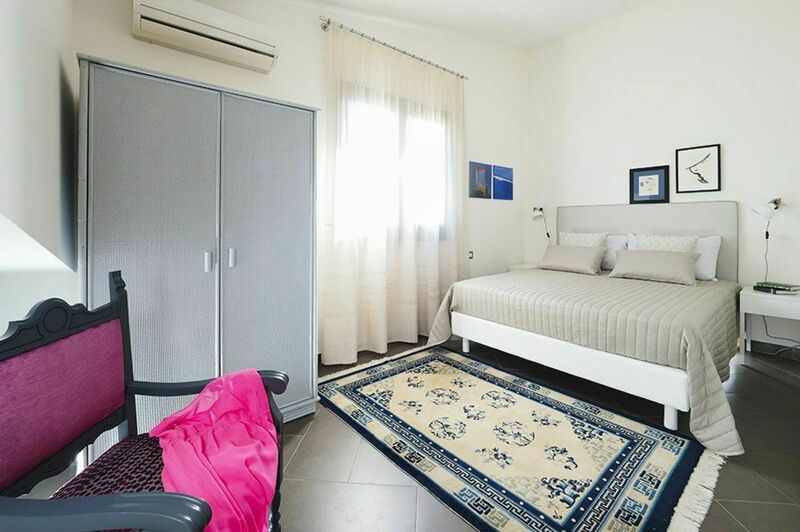 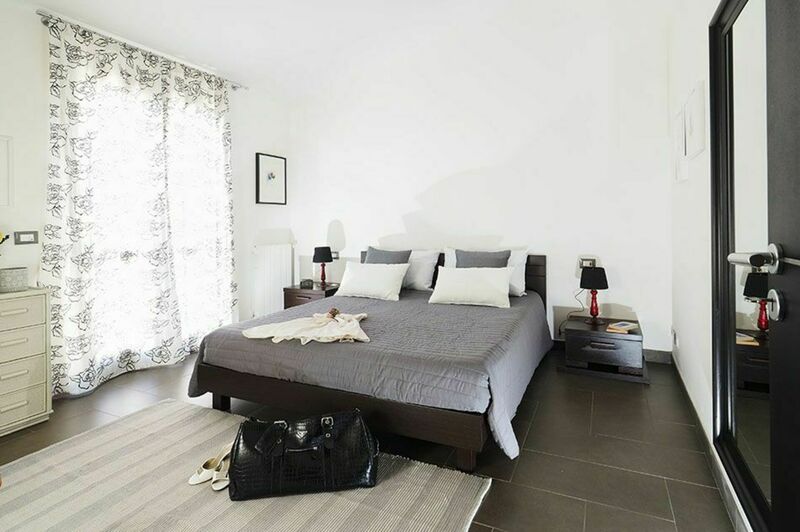 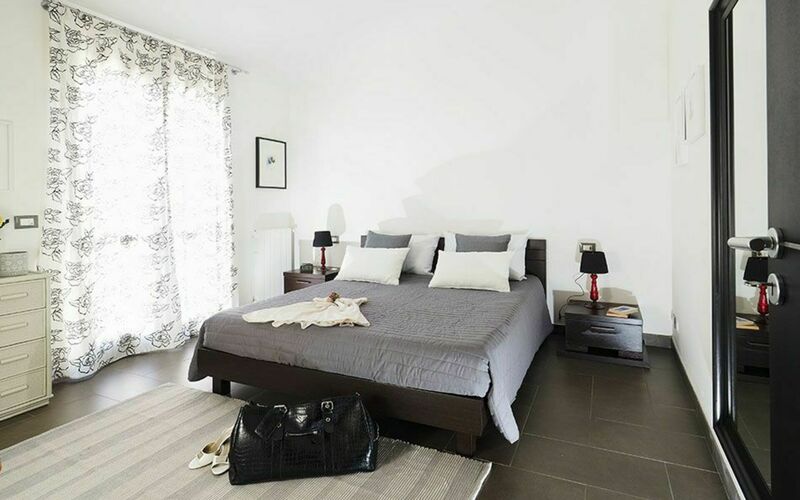 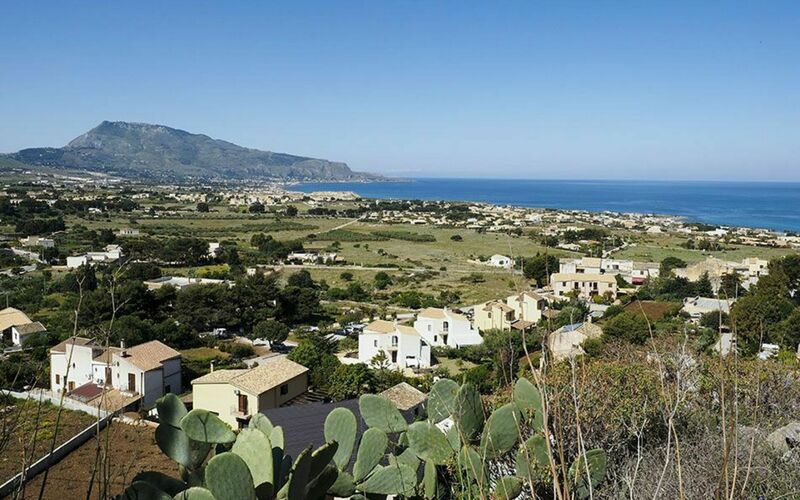 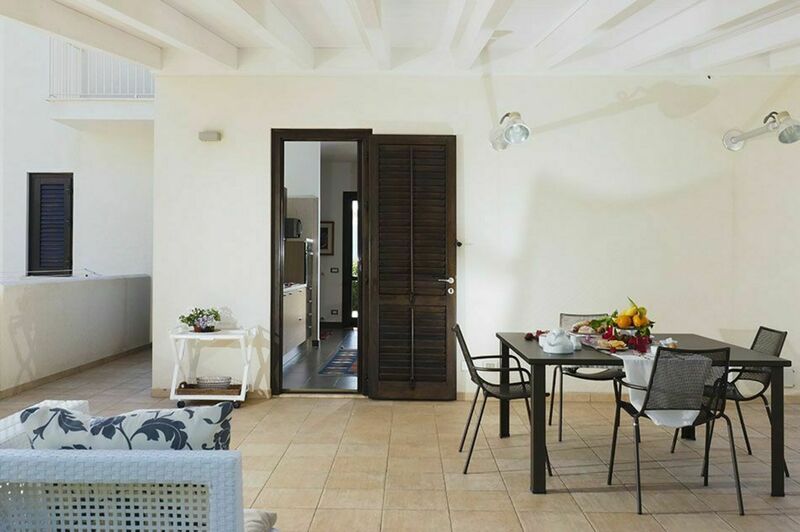 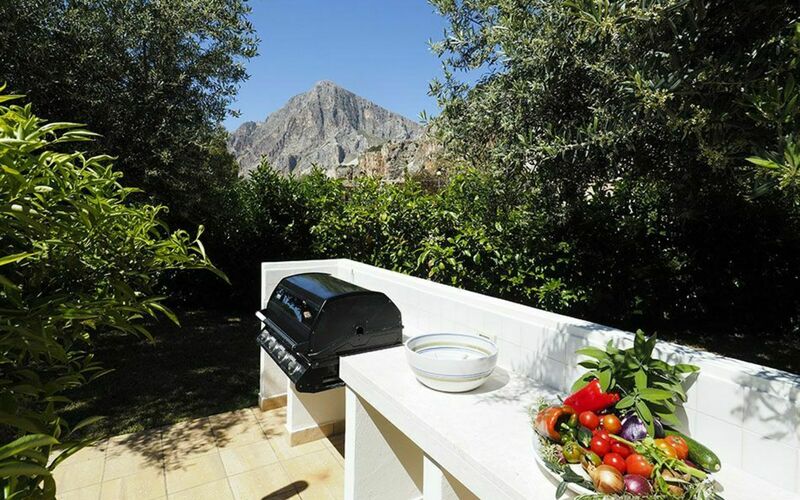 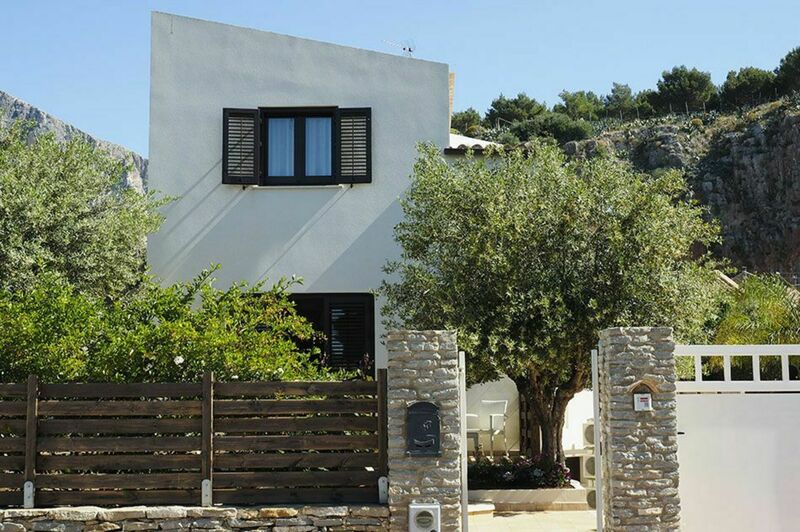 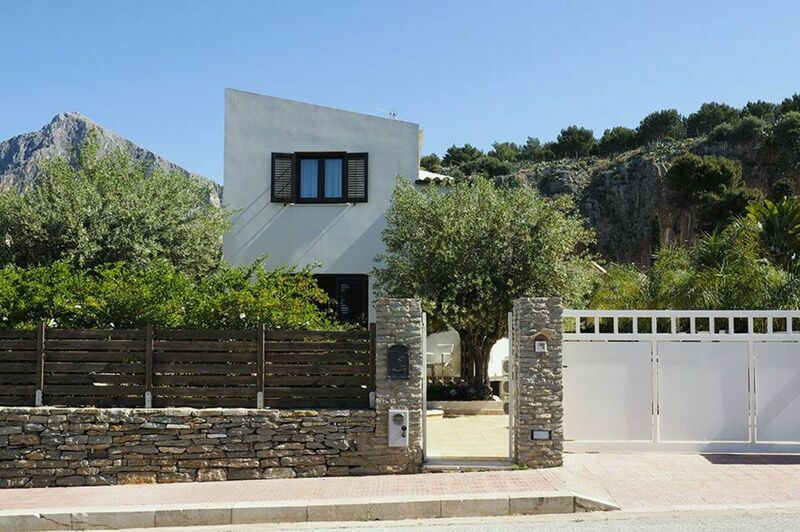 The villa location, besides being practical for reaching the lovely beach of Baia Cornino, is ideal for exploring the area and the towns of San Vito Lo Capo, Trapani, Erice, Marsala, the Egadi islands, Segesta, Selinunte and the close nature reserves of Mount Cofano and Lo Zingaro. 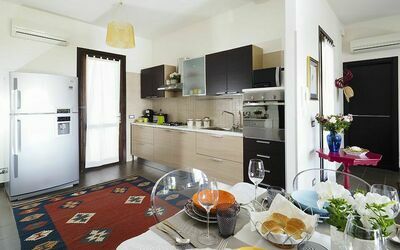 Ground Floor: living/dining room with fireplace, kitchen, 1 bathroom with shower. 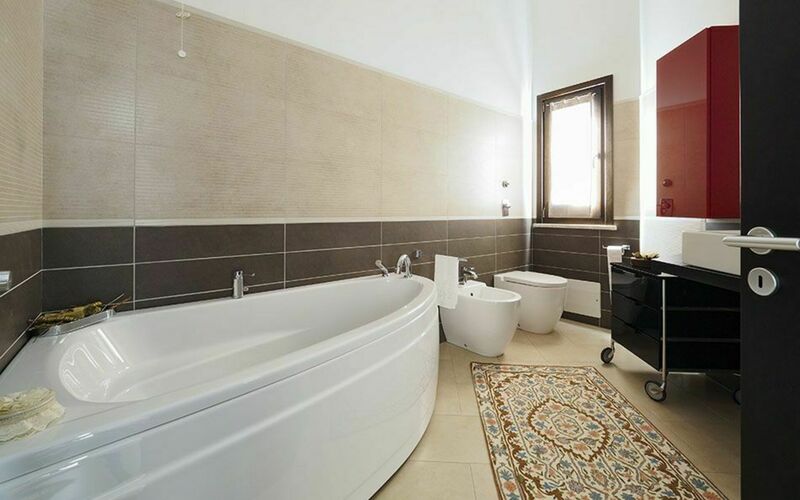 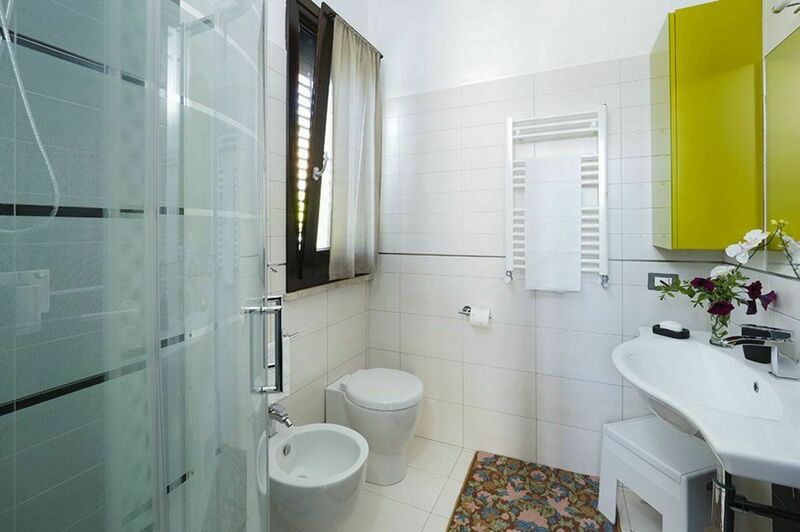 First Floor: 2 double bedrooms, 1 twin bedroom, 1 bathroom with tub and shower.